Rare print of a very proud Israeli shirt. A big Israeli flag is printed in the front. 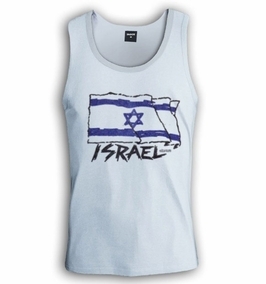 This design is a wonderful shirt from Israel. Printed on High-Quality Cotton T-Shirt. Show your pride! Our t-shirts are made of 100% cotton and are long lasting with bright colors. Our products are all designed and printed in Israel.